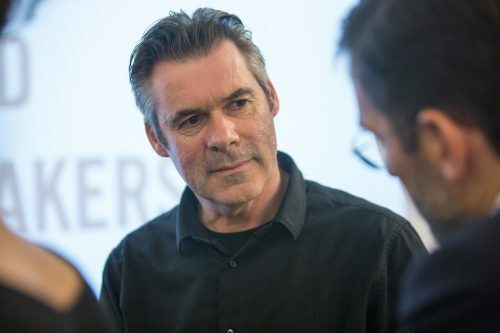 Buurtzorg as a new organisational healthcare model and Ashoka Fellow Jos de Blok as its inspirational leader have become a symbol for transformation in health and social care and an inspiration to people in many places around the world. Dissatisfied with the delivery of health care by traditional home-care organizations in the Netherlands, Jos decided to create a new model anchored on the self-management capacity of nursing professionals, ultimately resulting to a more responsive, patient-centric system giving better quality care. In the long run, the model enables the patient to maintain independence from costly institutionalized care. Jos, himself a nurse, believes in an empowered nurse-led team approach, as well as an empowered patient. He believes most patients can be encouraged to participate together with their Buurtzorg nurse in finding solutions to their home care needs, and that many of these solutions can be found right in the community. What started as a team of 4 nurses in 2006, has grown to nearly 8,000 nurses in 2014, with teams in the Netherlands, Sweden, Japan and now, the United States. Frederik Lalouxs Book “Reinventing Organizations” used Jos de Blok´s Model as a Case Study. See Jos de Blok´s RSA talk about Organizational Structures. Podpora ekosystému pre sociálnych inovátorov aj na Slovensku!